So, I have had some time to get my hands nice and dirty with the new(ish) iPad Pro 10.5” over the last few days. I had been using the previous model for about 6 months and as a self-confessed Android-guy, I must admit that I had fallen in love with it just a little bit...But this new model takes it to a whole new level! 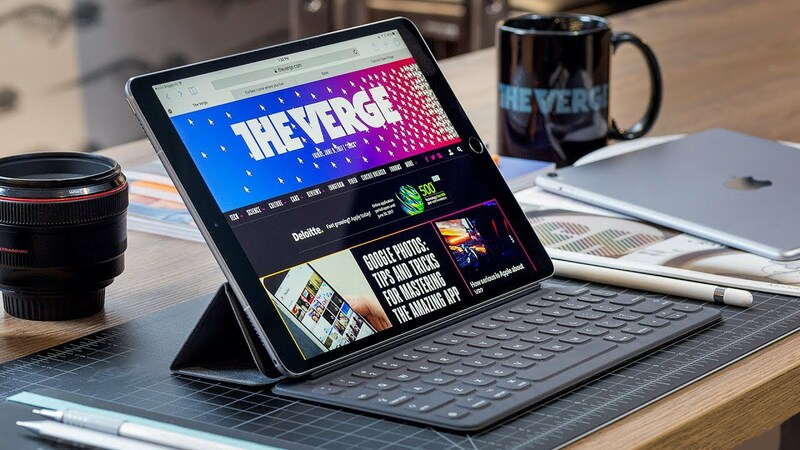 I am typing this post on the Smart Keyboard which attaches via the smart connector and makes for a nice upgrade from the ZAGG Folio I had been using. Don’t get me wrong, I enjoyed the actual typing experience of the ZAGG as the keys had slightly more travel and resemble a traditional keyboard more than the soft keys of the Smart Keyboard. But the clincher for me is that thanks to its physical connection, there is no delay when using the keyboard. I am also noticing the extra screen real estate on the newer model - this is achieved without really increasing the overall size of the device by making the bezels smaller and the extra inch or so is actually quite noticeable. Although my iPad will be used mostly for work, I have installed quite a few entertainment apps like PLEX, DSTV Now and Showmax and even a few games (yes, I am a big kid!) and I must say that the experience is better than you would find on any other tablet. As Marques Brownlee says in his review, it is pretty much the best tablet money can buy at the moment. The Apple Pencil is an accessory that many would consider unnecessary, but I have found that I use it all the time! There are tons of great apps out there for taking notes, and I even use the free Evernote app to create simple flow diagrams or write lists. When cheeseburger emoji's become critically important, is that a sign of the times we live in?? ?